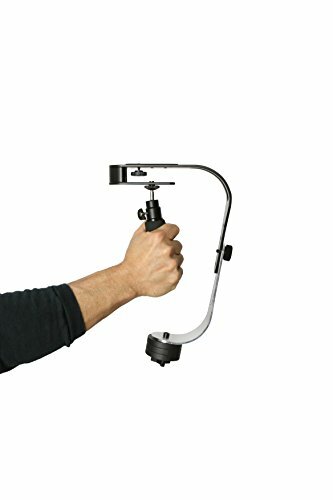 Home / Accessories / Professional Video Accessories / Stabilizers / The OFFICIAL ROXANT PRO video camera stabilizer Limited Edition (Midnight Black) With Low Profile Handle for GoPro, Smartphone, Canon, Nikon – or any camera up to 2.1 lbs. LIMITED EDITON “Midnight Black” EDITION – Don’t be fooled by imitations. Roxant is the only authorized seller of our brand. If it’s not in our box, it’s not a ROXANT. Our superior design and construction provide “pro style” stabilization with less motion and shake compared to other handheld stabilizers. – The lower arm comes with NO SLIP GRIP which eliminates lower arm swing. 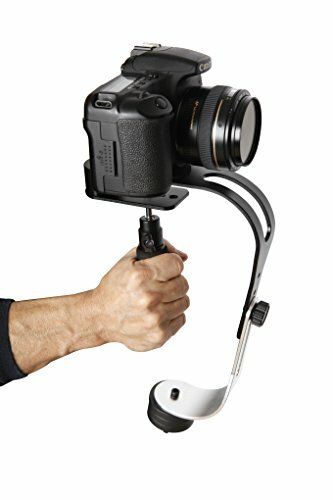 For use with Point and Shoot, DSLRs, Video Cameras, GoPros, Smartphone and any other camera up to 2.1 lbs Elite Low Profile Comfort Handle Edition – with a lower center of balance making stabilization even easier. This Is the Original AUTHENTIC Roxant Pro stabilizer in a LIMITED “Midnight Black” EDITION with the Elite Low Profile Comfort Grip Handle. The Original Roxant Pro stabilizer will help you create professional looking, smooth scenes whether you’re walking, running, skating, driving etc.